After telling you all the facts about Botox, now I would like to introduce you to another great member of the facial rejuvenation family – Juvederm. 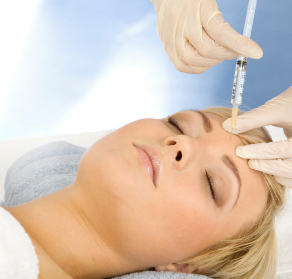 Just like Botox, this is an injectable dermal corrector used to diminish the look of wrinkles on the face. The major difference aesthetically between the two is that Botox produces facial paralysis and thus stops your ability from making the faces that causes all those lines, while Juvederm fills in the lines essentially “fluffing” them up and reducing their appearance. Juvederm absorbs up to 1,000 times its own weight in water, which leaves substantially more volume under wrinkling skin. Approved by the FDA in 2006, the most common use for Juvederm is for the deep lines that form around the mouth and run from below the nose down to the chin and the deep lines that run horizontally across the forehead. Mostly comprised of hyaluronic acid, a substance naturally found in the skin and muscles of mammals; it can yield mild short term side effects such a slight redness or irritation at the injection sight that usually goes away within a few hours. Juvederm can also be used to make lips appear fuller, especially when aging leaves them thinning and deflated. It can also be used to fill holes on the surface of the skin as a result of traumas such as scarring or acne. While this is a great fix for surrounding mouth wrinkles, I do not recommend Juvederm for eye wrinkles, as the water retention can leave you with the look of bags under your eyes. For this, I recommend Botox. All facial fillers containing hyaluronic acid get absorbed into the body at around six to nine months, thus it’s a continuous treatment but the effects are well worth it. If you think Juvederm or Botox is right for you or if you have any questions, please our Staten Island Office at (718) 494-2200 or fill out our contact form.